"The world of rock invades pinball tables!" 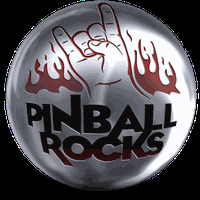 Game Goal: Pinball Rocks HD is a compilation of a game loaded with new songs by contemporary artists, with four custom boards for Alice in Chains, Bullet For My Valentine, AC / DC and Slayer. Game Options: The tables have a rock club theme, so you can test yourself with over 20 missions and 3 bonus games. Graphics: Stunning original 3D graphics and extreme attention to detail. Sound: It has an incredible soundtrack, along with dubbing in the SiriusXM Zeena Koda game. It's like a jukebox in a game. Content Classification: For all age groups, however, the game is great for fans of rock songs since it only has this style. Requirements: Android 2.3.3 or later. Rating: The TOP 10 Most popular games in Pinball Classic category. Presented by Sony Music Entertainment and Gameprom. Includes bands like Three Days Grace, Red, The Sword, Queensryche, The Virginmarys, Filter, Norma Jean, For Today, Anvil, Krokus, Lordi, and others. It has multiple camera angles: stereoscopic 3D perspective, full board and intelligent camera changes. It has an ultra-realistic physics engine. Requires a powerful device to work well. Certain items must be purchased with real money. Do you like Pinball Rocks HD? 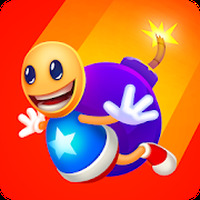 A modern & futurisitc pinball game for your Android! 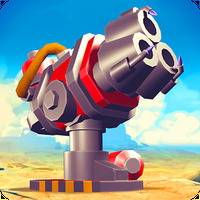 Use your excellent aim to destroy all the blocks! Enjoy the classic arcade game of Pinball! Bounce 'till you reach the top of your office!